We at iNTEGRA work hard to help couples and families grow closer together through discovering and resolving core issues, increasing closeness and understanding, and assisting individuals to develop and overcome obstacles in their lives. 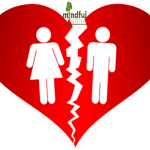 Marriage Counselling in Delhi is provided in Hauz Khas & Marriage Counselling in Gurgaon is provided in Sec 31 & DLF phase 2. Belief is reasonable but still if you could Turn conflict into connection and passion then why not try it once. Benefits oF iNTEGRA COUNSELLING is to build strong relationships. People who create and maintain strong relationships with their partners, families, friends and even themselves live happier and more fulfilled lives.